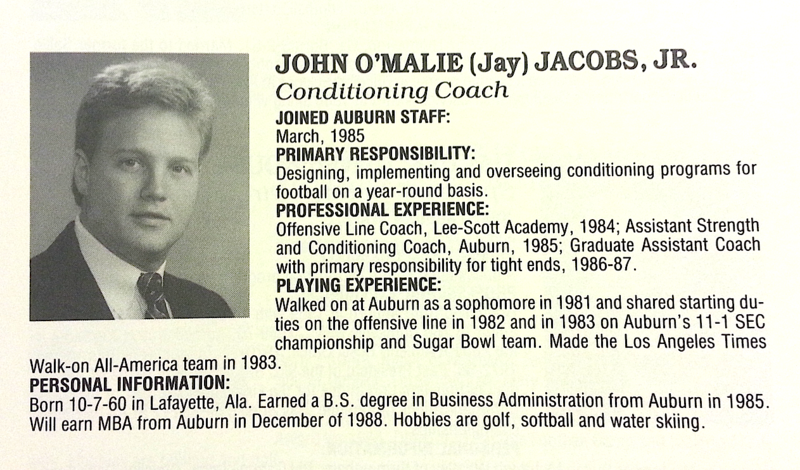 … and Auburn’s conditioning coach for 1988. Yoxall who? Related: Jay Jacobs Picture Day.